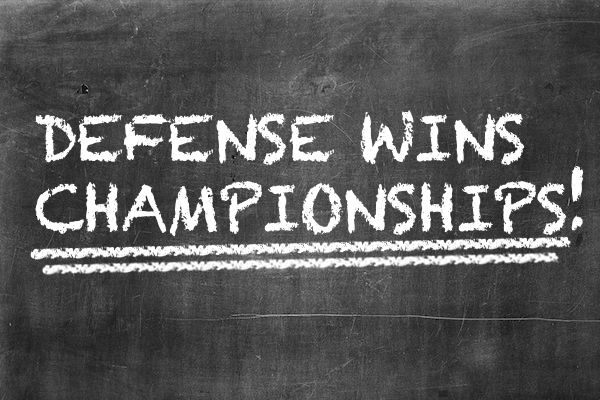 Not since 2001 and 2003 (Baltimore Ravens and Tampa Bay Buccaneers) has a truly dominate team won the Super Bowl. I guess cases can be made for the 2006 and 2009 Super Bowls that the Pittsburg Steelers won. These teams had a really good defense, not sure if it would be considered dominant. However, going as far back as 1985, there have only been a handful of teams that have won a Super Bowl without an elite quarterback, but having an elite defense. Let’s take a closer look. Not only have the same handful of teams won multiple Super Bowls (which speak volumes about franchises that get it, are first class organizations, and do things the right way), they continue to return decade after decade. But the most interesting fact to me is the list of quarterbacks. A winners list of league and Super Bowl MVPs, first round draft picks, Hall of Famers, and elite quarterbacks for their era. This list includes Brett Farve, Troy Aikmen, Joe Montana, Steve Young, John Elway, Kurt Warner, Drew Brees, Peyton Manning, Tom Brady, Ben Roethlisberger, and Eli Manning. Of course you have the trio of Washington Redskin QBs, Jim McMahon, Jeff Hostetler, Brad Johnson, andTrent Dilfer. After this laundry list of names, you maybe asking yourself, what’s your point JayDee?! My point is, my patient reader you, is…if recent history (nearly thirty years worth), you have a 67% chance of getting to and winning a championship if you have an elite quarterback. With that said, there are only a handful of teams with elite level quarterbacks. Of course, to get to a Super Bowl, lady luck has to be on your side and the injury bug needs to be as far away as possible. Smart, disciplined teams, (which goes back to the GM, coaching staff, and ultimately, ownership) to survive the ultimate reality tv show called the NFL. My money is on a repeat for the New York team. You know, the one with the elite quarterback. The drama free team. The won that isn’t looking to win the back pages of the papers. The one with four Super Bowl trophies. February 3, 2008, the Giants won a Super Bowl….can February 3, 2013 be Super Bowl number 5??! Only time will tell. However, smart money says the odds are in their (and a handful of others) favor. 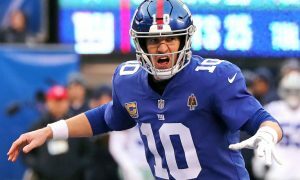 Giants Are Keeping Eli Manning, As The Rumor Mill Continues To Spin. 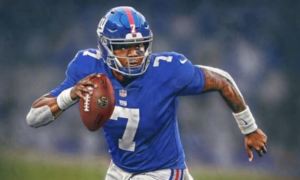 Are The New York Giants Looking To Trade Up? 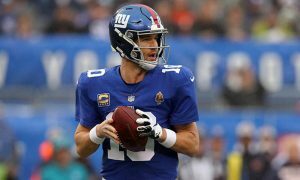 What The Giants Should Do With Eli Manning? Will Beatty starting this season off right!